Given the gigantic spread of India, perhaps it may take a lifetime to explore the marvelous nation in entirety. Truth be told, there are few nations in the world that make traveling into an inspired regimen and not just another excuse to snuggle away from the chaos and clutter of everyday life. Unfortunately, the word around spreads so fast about popular destinations replete with all luxurious amenities as one imagines today, born and bred on a staple diet of necessities in an urban dwelling, that when it comes to travel, one gets to hardly ‘explore’ the new and unfound. And therefore, repetitive dwellings to previously visited destinations become the order of the day. Consider yourself to be in Delhi! A long weekend ahead, made stretchable by the perfectly crafted excuse to attend to an important function, thus adding a couple of more days. So what next? Sneak away to Kullu. Or visit Manali. Roam about carefree at Landsdowne or smoke up some fun at Dharamshala. Hey, what about Shimla? Why not revisit Almorah? But hey, aren’t you done with the cyclical nature of your mountainous visits? Why not discover someplace else? Why not inhabit the lesser inhabited or the place where few travel thus making it all the more alluring and worthwhile. Simply a place for the hungry traveler but one who likes to tug his head between a book and some bright sunshine, Solan is the place to be. 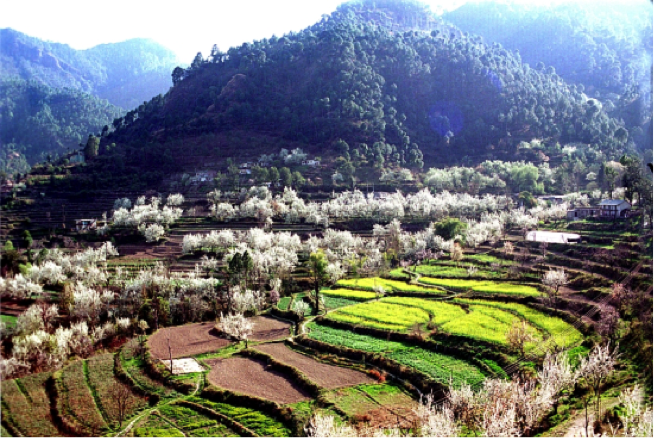 Solan is just 46 kilometers adrift of state capital of Himachal Pradesh, Shimla toward the north of Barog and Nagli. 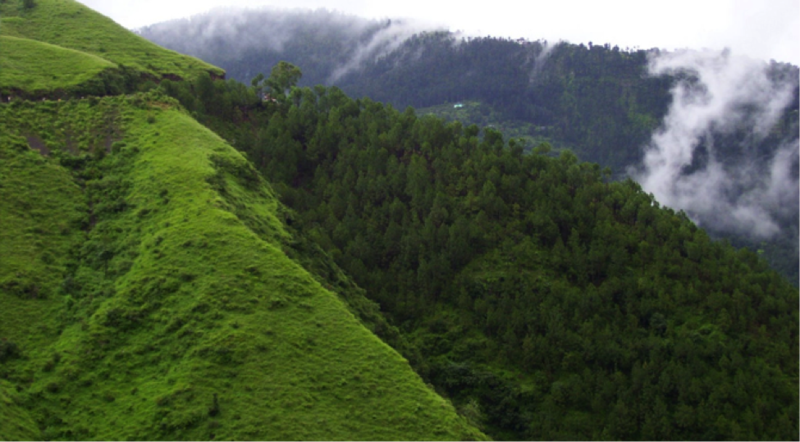 A largely forested land, hill-locked between dense green forests and wide open spaces, Solan is such a treasure for the explorer in you that perhaps a solitary visit for a couple of days may just not be enough. For the foodie in you, you ought to try the Solan special; the mushrooms, with the ripe and vitamin-rich eclectic taste to extract the real purpose of a pleasant trip. Did you know that there really is a place in India, actually titled ‘Mini Switzerland’? And that the name of the place sort of weirdly rhymes with the man famous for making mushy romantic Bollywood movies in Switzerland (read Chopra, Yash Chopra)? Perhaps, you may have heard about Chopta just now but truth be told, it is a belter of a holiday location for your travel hungry legs. Expand your horizons a little and brighten up to the sunshine in this vividly beautiful touristic destination, located at an altitude of 2700 meters in the Rudraprayag district of Uttarakhand. If snow clad Himalayan ranges are what it takes to calm your mind and leave behind the urban decay of a city dwelling, then move ahead of Kullu or Manali or Rishikesh. Look a little beyond. The majestic spread of Deodar trees provide a freshening aura to the wholesome travel experience made all the more richer by visitations to Tungnath Mandir and the Chandrashilla summit here at Chopta. 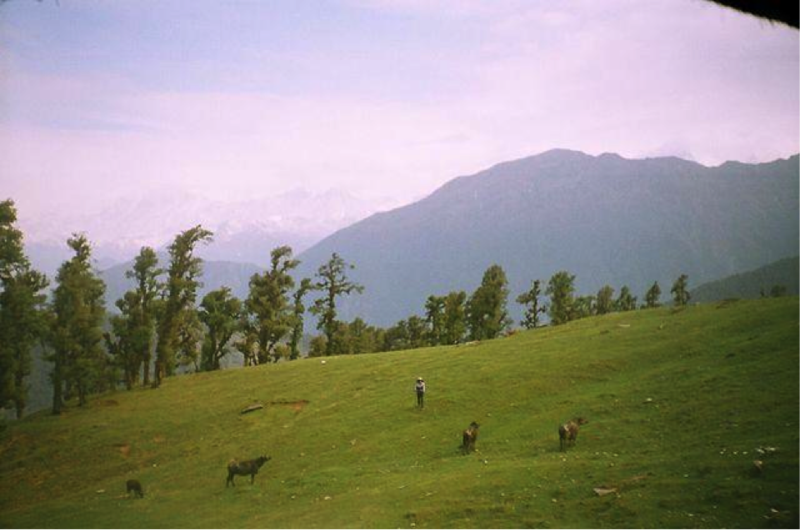 Thank heavens, Chopta, thus far, is a non-commercialized hill station. Whosoever hasn’t heard of Shimla, is clearly missing something. But chances are, not everyone who has visited Shimla may have ventured a little ahead to Mashobra. Shimla, honestly a beautiful but sort of an archaic product of the average mountain visitor’s imagination has such a pleasantly surprising and delightful destination in the form of Mashobra that it exudes a bit of a paradox as to how many haven’t just come to unravel the breathtakingly beautiful destination! Located at an altitude of 2146 meters, it is about an 8 hour drive from New Delhi and falls in the Shimla district of Himachal Pradesh. A picture perfect setting for a young romantic couple or the elderly fancying rekindling the age old romance, Mashobra with its vibrant vegetation and unpolluted valleys is a scorcher of a visual delight. Once you are here, you would love traveling to Shimla courtesy the Hindustan-Tibet road, built ages back in 1850 by Lord Dalhousie. So are young and daring and like a bit of snow? Not bad, what are your options? The most adventurous place that comes to mind in this regard is Auli, right? Wrong! Think beyond, dare to do something different! Look beyond Auli, whether you are on a bike, fidgety bus or in your own posh wagon Audi! Visit Kwani Bugyal, a beautiful, picturesque sort of destination which is an ideal abode for the curious explorer who gets bored of following the conventional route to holiday. One of the most cited reasons for visiting Kwani Bugyal is the towering altitude where this ski-friendly destination is located- above 3300 meters from the sea-level. Lying north of Auli, famous with trekkers and a completely barren idea for the usual frequenters to Shimla, Manali and elsewhere, there is zero pollution at Kwani Bugyal, one of the most vital reasons why you should visit the place. An interesting mushrooming of ethereally delightful confluence of green and yellow colors define the landscape of this majestic hill station. It’s less visited all through the year and yet exudes a hyper energetic vibe for the exciting visitors who blaze it’s less popular territory. This tiny hill station in the Chamba district in Himachal Pradesh is made magnificent by a freshwater lake that adorns this quaint plateau. And what’s more? 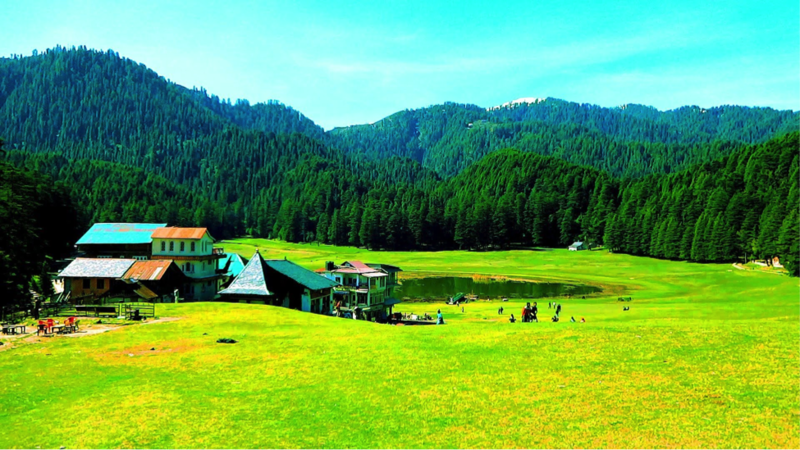 This less explored touristic delight is just 24 kilometers from Dalhousie and fed with mini hotels and pristine small shops make it a bit of a marvel for the outdoorsy souls among us. If the natural green envelope in the northern stretch of India can make your troubles and woes exhale effortlessly, then few places in India can match the serene charm of Kalimut. 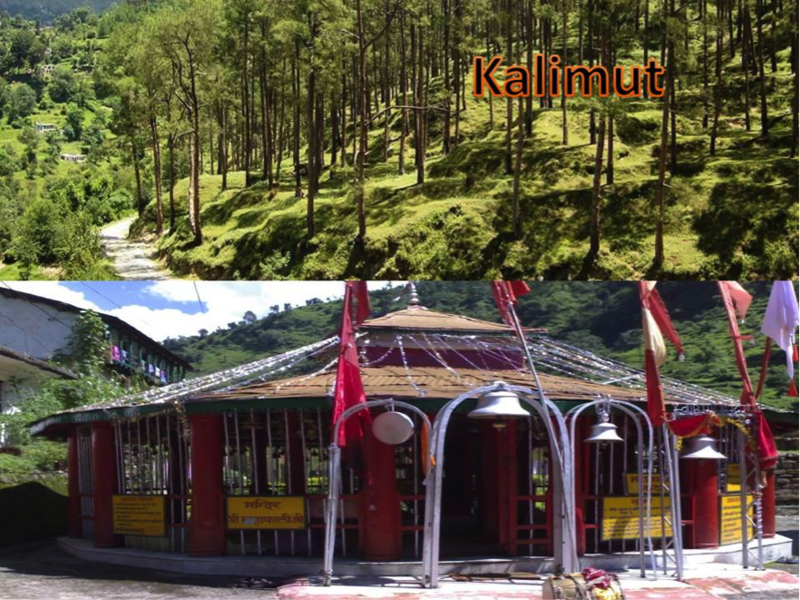 Kalimut, just on the outskirts of Almora district in Uttarakhand has a bit of an enchanting and naturally surreptitious history. Kalimut was previously a diamond colliery and is now a granite hill. Excited already? Located at an altitude of 1800 meters, the exhilarating green open spaces light up lives and put up effervescent smiles on hungry travelers who visit Kalimut to pen down a few soul-stirring notes in life’s complicated albeit surprising journey. Don’t you wish you essay a few of your own chapters? Seeing the panoramic view of the Himalayas is akin to soaking in the incessantly pleasurable delight of seeing the best of god’s divinity. And what better place to soak in some tranquil peace in you at the Deo Tibba Base Camp, an ideal picturesque get away from your morose of daily chaos? You discover a strange sense of calm as you stare face to face at the delightfully majestic Tibetan valley here at the heart of the Outer Himalyan ranges, further up to around 2000 meters above the sea level. But here’s a catch? 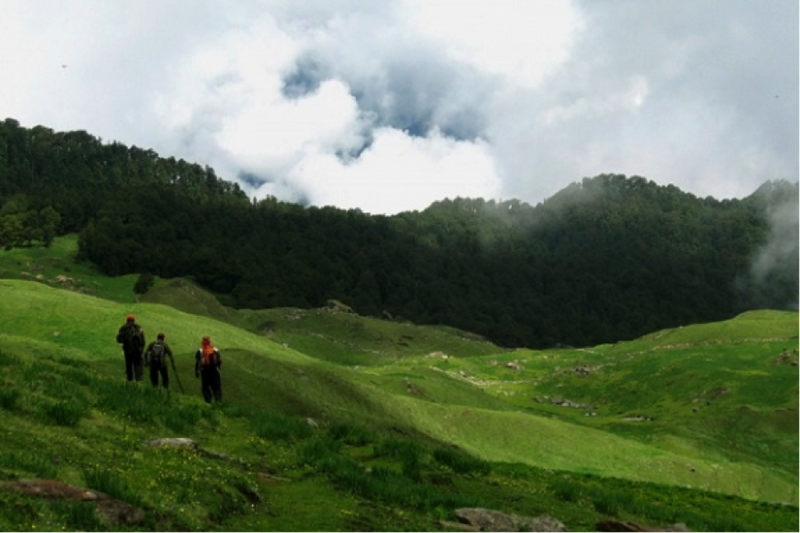 This isn’t an easy picnic spot, its specifically for the hiker or trekker’s delight. But then, it’s no challenge for the traveler who is curious to explore magical gems like Deo Tibba Base camp in the majestic realm of the Himalayas. Whether you just like couch surfing amidst the glorious panorama of India’s very best in the North or prefer to stoke some spiritual chords within, then the silence of this destination will sway you to be one with the nature divine.